Use Worldox to prevent prying eyes from seeing information they should not! Worldox is a document management system. Basically a program that sits between the application and the file system and manages access to the file system. With it, everyone references and stores files in the same way and files can be searched for across the entire file base with results returned in seconds. Great if you are looking to reuse another user’s model document! Behind the scenes, Worldox also has security built in. And that security talks to the Active Directory so that both the file system and Worldox have the same security. 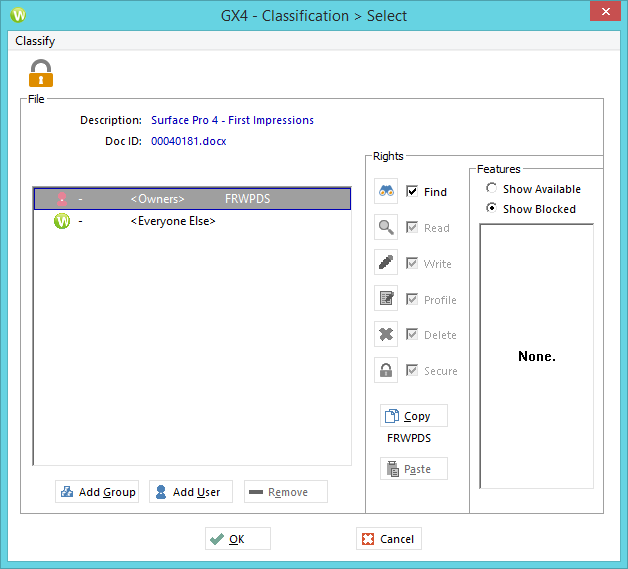 This prevents sophisticated prying eyes from bypassing Worldox to get to files they shouldn’t. When security is applied at the server level those who do not have access do not even know the files or folders exist. They will never see them. And since the security is upheld by the Worldox server software, there is no chance of a breach. 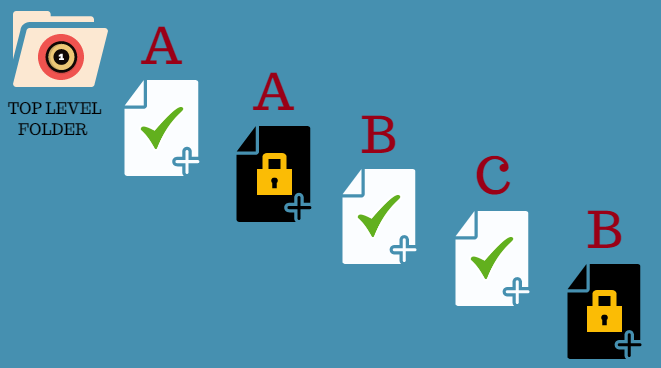 In this structure, the folders Regular Information A, B and C are accessible to everyone. Folders Secret Information A and B are restricted. Under a file system, the people that have access to Secret Information A and B must be given access to the Top Level Folder. As a result of that they know that Secret Information A and Secret Information B exist even if they cannot get into them. This is one level of exposure averted by Worldox. The second level of exposure is human error. If someone is asked to adjust the security on the Top Level Folder then that security might propagate to all folders beneath it thereby exposing information that was previously not exposed. This could be due to lack of expertise in applying security or because the admin person did not realize that there were restricted folders in the list of folders (they are not always obviously named as above). Worldox overcomes this issue also as it handles the security of files behind the scenes and ensures that inappropriate propagation does not occur. 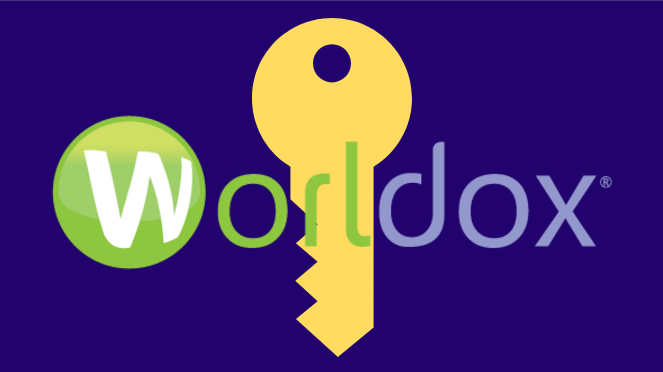 If security of files is a concern for your firm, consider Worldox document management. Keep prying eyes away from and with no knowledge of secure information! Charles Bennett is the Principal Consultant of Triella, a technology consulting company specializing in providing technology assessments, consulting, maintenance services and CIO-related services to small and medium sized firms. Charles can be reached at cbennett@triella.com or 647.426.1004 x 222. For additional articles, please visit https://www.triella.com/whats-new/. Triella is a BlackBerry Alliance Partner and Authorized Worldox Reseller. PreviousPrevious post:Microsoft Outlook – 7 Extremely Useful FeaturesNextNext post:Is My Android Phone Bricked? Now Available – Worldox GX4 with Major Upgrades!